As we head towards summer, the temperatures pick up a little bit both during the day and night. However the cooling north-east tradewinds keep things comfortable. March is typically a very dry month with little rainfall. With 9 hours of sunshine daily, it's the perfect time to visit Barbados. Hurricane season is still some months away, so no worries in that regard. Be sure to pack lots of sunblock, your sunglasses/shades and summerwear! Popular events in March are the Oistins Fish Festival (which coincides with Easter weekend so March/April), the Sandy Lane Gold Cup horse race, and the Open House season. 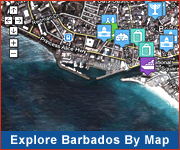 Visit WhatsOnInBarbados to see what else is on including music, dining and sports events. 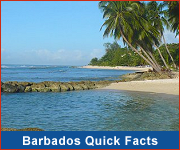 A lovely month for a Barbados holiday March books up quickly, so start planning early.